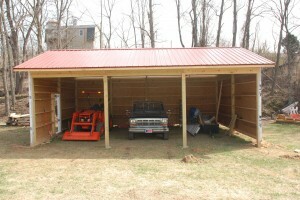 I had an old barn on my farm that I used to keep my tractor and other stuff dry. Unfortunately, it was falling down. I eventually had to tear it down. My tractor spent the winter and summer outside and it really bothered me seeing it sit out in the weather. I decided to go ahead and build a pole barn/garage to keep it in. I’m just getting started and will be working on this over the next few weeks. 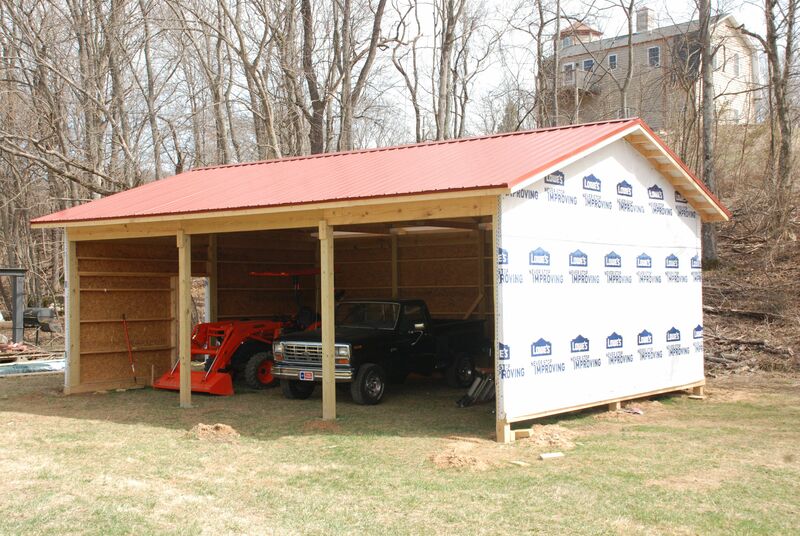 My goal is to have it under roof before the hard winter sets in. Next spring I will come back and enclose it and put doors on it. The barn will be 32 X 24 and stand 10 feet tall. 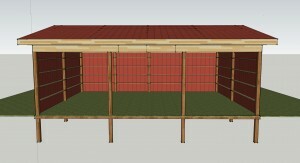 It will have three bays to keep my tractor, mowers, and implements in. 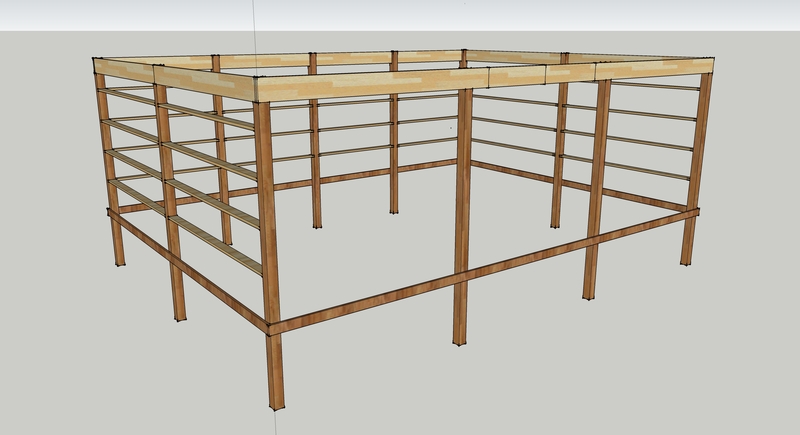 The top of the posts will be notched to accept a 2X12 banding beam. These beams will be doubled up in the front and the back to safely carry the trusses and roof. 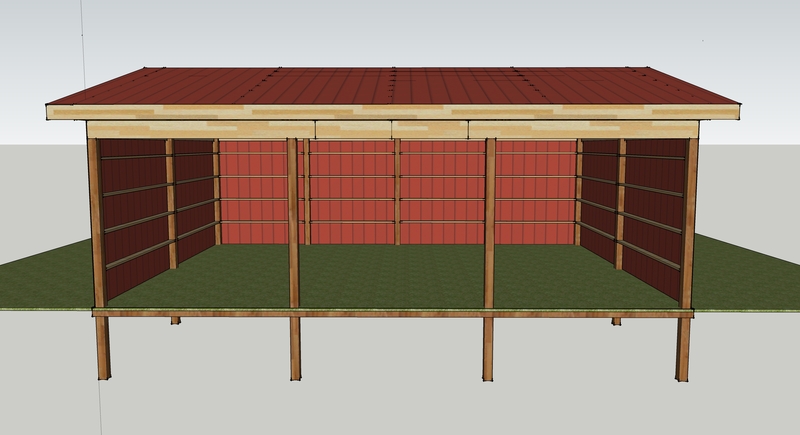 The bottom of the building will be banded with a 2″6 so later on I can lay some gravel and pour a concrete slab. 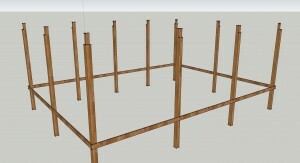 The purlins will be 2X6’s on two foot centers that will run in between the 6X6 posts. 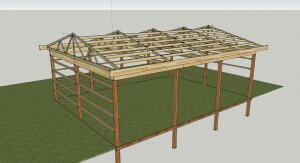 The metal roof will supported by pre-fabbed 2X6 trusses on eight foot centers. Once the post holes are dug I will bed each hole with 3″-4″ of concrete. I’ll use a rotary laser to bring each bed of concrete up so that they are all on the same plane (level with each other under the ground). 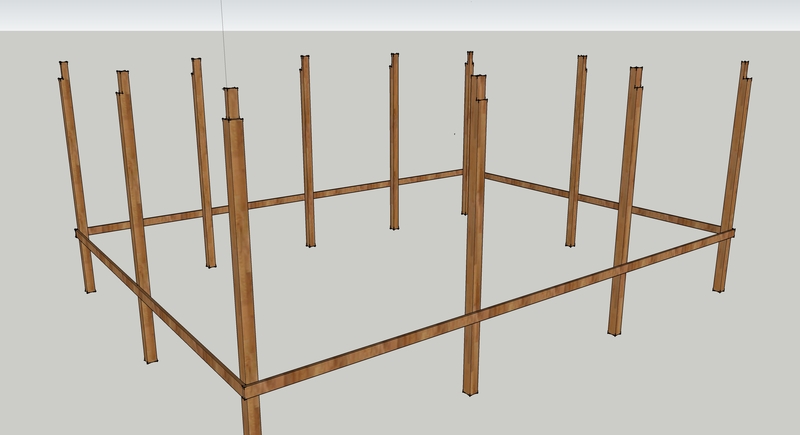 By doing this, I will be able to cut the notches on the ground before I actually set the posts in the ground since I will know every post is level on the same plane at the top. This will save the aggravation of have to climb up on a ladder or scaffold to cut the notches. Nothing in this project is particularly complicated or challenging. It’s just gonna be a lot of grunt work. I’ll keep you updated on the project as it develops. 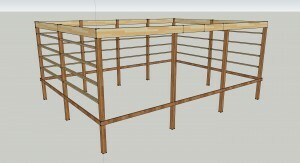 Be sure to check out the multi-part video series on how to build this on my YouTube Channel. From there you ought to be able to actually see how I tackle each part of the project. Good luck! The barn is essentially done now. I’ll spend the rest of this spring and summer getting doors, trim, and siding on it but for now, it’s usable and I’m where I wanted to be in time for spring. 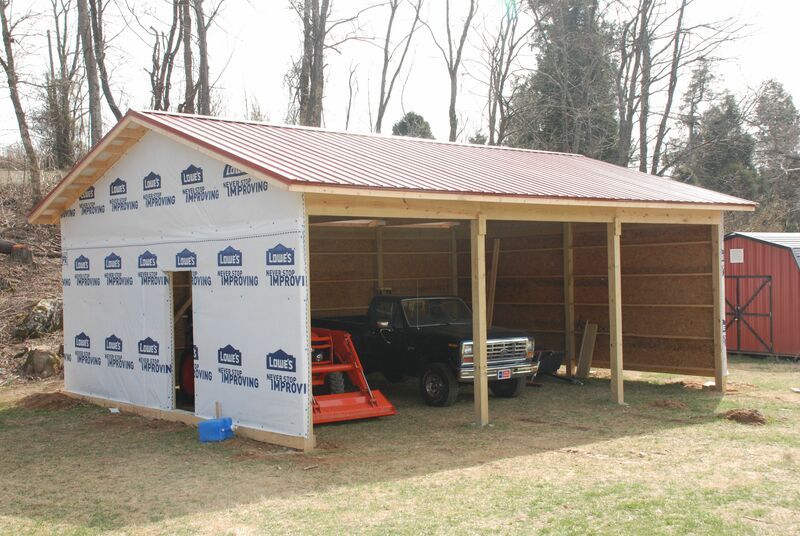 If you would like to see the materials required to get the building as shown in the pictures below (framed, roofed, sheeted, and wrapped. No doors, siding, trim, etc.) then take a look at the links below. I did not buy all of my materials from Lowes, but I included the applicable Lowes item number for those that I did. Let me know if you find any errors in the lists. 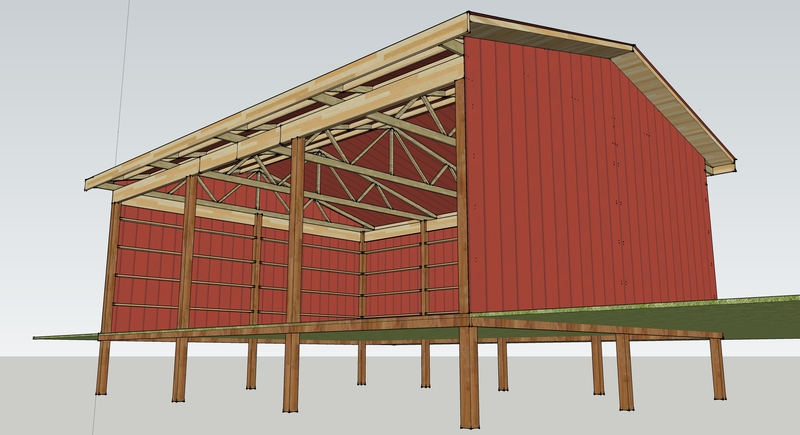 Go here to read more about the building materials and also a super cool 3d model I made of this barn using Google Sketchup. If you are interested to know how long it took me to get to this point and how many man hours went into it then click the link below. Don’t let it discourage you because if you can get at least one good helper you can cut this time a tremendous amount. I work pretty slow too. I like to be deliberate and careful as I work. 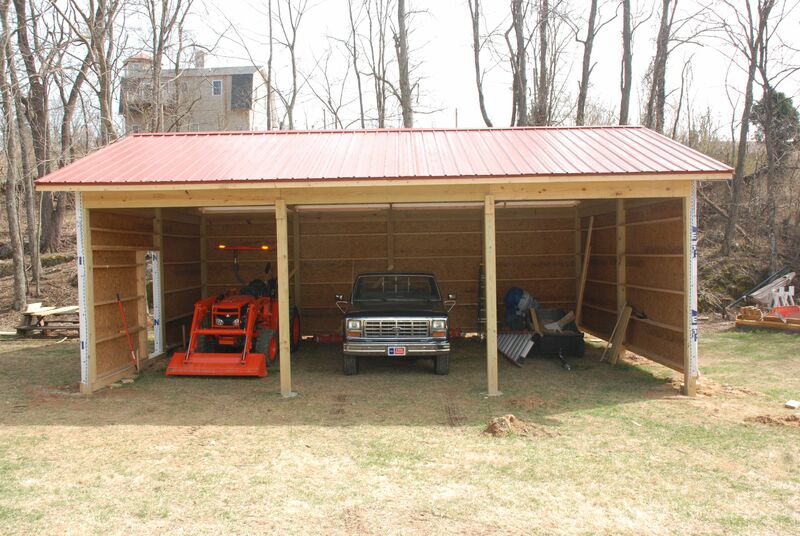 Also note, I filmed my YouTube Pole Barn Video Series during this project so that took a fair amount of time too. But if you do it by yourself like I did, then just be aware that the time involved is significant.